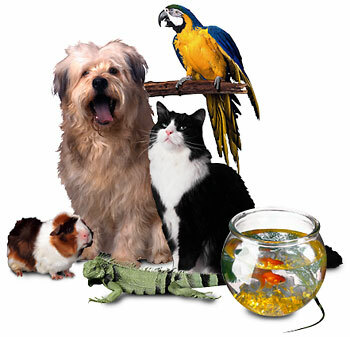 Hypnosis Denver Is Secondhand Smoke Hurting Your Pets? Hypnosis Denver – Is Secondhand Smoke Hurting Your Pets? In recent years, studies have concluded that tobacco and secondhand smoke are not only dangerous to people, but also to pets. Specifically, with respect to secondhand smoke, researchers have found that exposure to tobacco smoke has been associated with certain cancers in dogs and cats; allergies in dogs; and eye and skin diseases and respiratory problems in birds, according to the researchers. As stated by Dr. Carolynn MacAllister, Oklahoma State University Cooperative Extension Service veterinarian, “If smoking is that harmful to human beings, it would make sense that secondhand smoke would have an adverse effect on pets that live in the homes of smokers. There have been a number of scientific papers recently that have reported the significant health threat secondhand smoke poses to pets. Secondhand smoke has been associated with oral cancer and lymphoma in cats, lung and nasal cancer in dogs, as well as lung cancer in birds. “A recent study conducted at Colorado State University shows that there is a higher incidence of nasal tumors in dogs living in a home with secondhand smoke compared to dogs living in a smoke free environment,” she said. “The increased incidence was specifically found among the long nosed breed of dogs. Shorter or medium nosed dogs showed higher rates for lung cancer.” According to MacAllister, the longer nosed breeds of dogs have a great surface area in their noses that is exposed to the carcinogens. This also provides more area in which the carcinogens can accumulate. 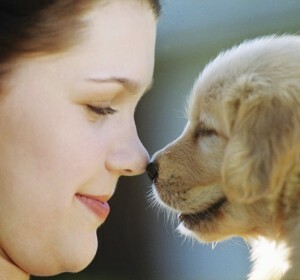 The carcinogens tend to build up on the mucous membranes of long nosed dogs so not as much reaches the lungs. Pet birds also are victims of secondhand smoke. A bird’s respiratory system is hypersensitive to any type of pollutant in the air. MacAllister said the most serious consequences of secondhand smoke exposure in birds are pneumonia or lung cancer. Other health risks include eye, skin, heart, and fertility problems. By ingestion of cigarette or cigar butts which contain toxins. By drinking water that contains cigar or cigarette butts (which can have high concentrations of nicotine). By ingestion of nicotine replacement gum and patches. Death: from 1-5 cigarettes and from 1/3-1 cigar can be fatal if ingested. The good news is that many smokers are becoming aware of this problem and are being motivated to quit smoking. In a study published in Tobacco Control, researchers led by Sharon M. Milberger, ScD, of the Henry Ford Health System in Detroit, found that 28.4% of smokers who participated in an online survey said learning that secondhand smoke was bad for their pet’s health would motivate them to quit. And 8.7% said knowing the potential adverse health effects of secondhand smoke would spur them to ask their partners to quit.